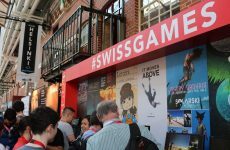 Swiss developers keep on encountering great successes: After GDC 2018, Gamescom 2018, it is the third time in a row that Swiss developers win one the most prestigious pitching battle of the game industry, the GDC Pitch. 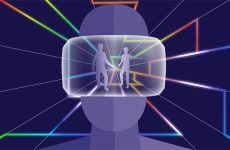 On 20 March 2019, Zurich based Blindflug Studios won the first day of the GDC Pitch competition. The event took place on the GDC Career Development Stage and was hosted by Jason Della Rocca, co-founder of Execution Labs and former executive director of the International Game Developers Association (IGDA). The teams faced tough questions from an expert jury which was composed of Jay Chi (Makers Fund), Sunny Dhillon (Signia Venture Partners), and Harri Manninen (Play Ventures). 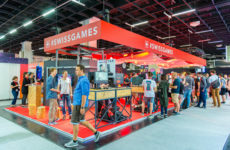 In total, the five competing projects on that day were First Strike Armageddon (Blindflug Studios), Morphies Law (Cosmoscope) and VR Free Glove (Sensoryx) – all part of the SwissGames delegation, as well as Trial of Titans (Oktagon Games) and Your World (Pantera Entertainment).